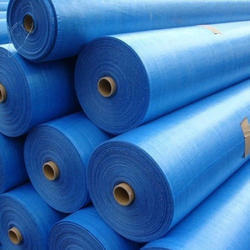 Manufacturer, Exporter, Supplier & Distributor of HDPE Tarpaulins. Our product range also comprises of Vehicle Covers, Silpaulin Covers and HDPE Fabrics. 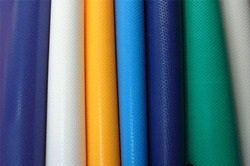 We are offering a wide range of Cotton Canvas Tarpaulins. These are extensively used for truck covers, cotton, fertilizers, cement covers, food grains covers & emergency shelter. 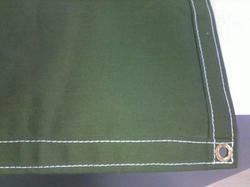 We offer the most sought after range of Special Proofed Cotton Canvas Cloth as per IS 1422, IS 1424 and IS 6803. Our range is double pitched with nylon thread and fixed eyelets. o ensure quality, these are monitored by our quality controllers on various quality parameters. We are engaged in manufacturing and supplying a wide range of Synthetic Tarpaulins that are widely used as a back body cover of the trucks to protect the consignment from harsh weather conditions. We offer our extensive array in varied colors and shapes as demanded by the customers.